Pee-wee's efforts to get over his fear of the dark seemed foredoomed when a scaly, one-eyed creature shows up in the Playhouse. But not to worry: The monster, whose name is "Roger", is just as frightened by the dark as Pee-wee -- and besides, he only wants to make friends. The rest of the Playhouse gang join in as Pee-wee and Roger learn today's IMPORTANT LESSON (and the Monster even gets to SCREAM REAL LOUD!) 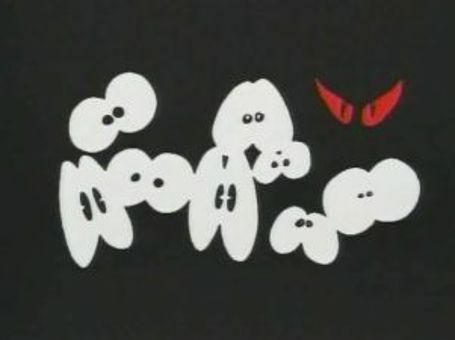 "A Monster in the Playhouse" originally aired in 1986, then was released to video the following year.